Why are so many businesses bad at marketing? Seriously, look around you for a second. Look at the cluttered websites, tacky television commercials and spammy banner ads. Businesses can’t be wasting money on this, right? It’s just a big joke. It has to be. Here’s the truth. Most businesses have no idea how to market. Companies treat marketing like a game of pin the tail on the donkey. That’s not how marketing works, though. That’s how money is wasted, brands are tarnished and customers are lost. Bad marketing is bad business. How does your business make marketing decisions? Do you have a creative team of writers, designers and developers? Do you employ an outside agency? Do you have a marketing committee that includes executives and other members of leadership? Who leads the strategy? Who handles the work? How are ideas pitched and approved? The problem of marketing experts. Marketing is an ambiguous term. Marketing is the management process through which goods and services move from concept to the customer. And for all of us that have ever taken a marketing class, it’s the four P’s – product, price, place and promotion. Consider all of the business disciplines that marketing encompasses: finance, advertising, branding, research, sales, communications, administration, economics, customer relations, etc. With this many cooks in the kitchen, it’s no wonder that marketing is often messy business. Marketing impacts nearly every area of your business, but that doesn’t mean every area of your business should impact marketing. Good marketing has specific and measurable goals. It’s focused, purposeful and strategic. When your business’s marketing team includes too many voices, the vision becomes diluted and the strategy suffers. The problem of marketing silos. Pretend four children are placed in four different rooms. Each child is instructed to draw the new school mascot, Max the Minotaur. The only guideline is that each must use the school colors, blue and yellow. Max is going to have an identity crisis. Without proper communication, there is zero chance that any two versions of Max are going to look alike. It’s a silly example, but most businesses are guilty of treating their marketing plan like Max the Minotaur. We call this working in a silo. To build a great brand and a cohesive marketing strategy, you can’t work in silos. Your brand is too important to leave it open to adaptation – logos, colors, tone and content are all elements of your brand and all part of the consumer experience. Imagine walking into Starbucks or tipping back a bottle of Coke. The sights, smells, tastes and sounds are nearly identical no matter the circumstances. This is hardly a coincidence. The world’s most successful and iconic brands go to extreme lengths to create this consistency. On average, loyal customers are worth up to 10 times as much as their first purchase. Don’t risk upsetting your loyal customers because your brand is being managed by four people in four different rooms. While you don’t need to micromanage marketing projects, you should make sure that your team is actively communicating and your brand’s identity is consistent across the board. The problem of marketing committees. Most small businesses don’t have the resources to employ an entire marketing department. Instead, marketing is handled by committee. When everyone shares responsibility for your business’s marketing strategy, nobody is being held accountable. With this model, marketing meetings are nothing more than an opportunity to throw mud at the wall. Committees are too focused on getting everyone’s feedback. And while feedback is valuable, it must be tactical. The secret to great marketing is risk-taking. 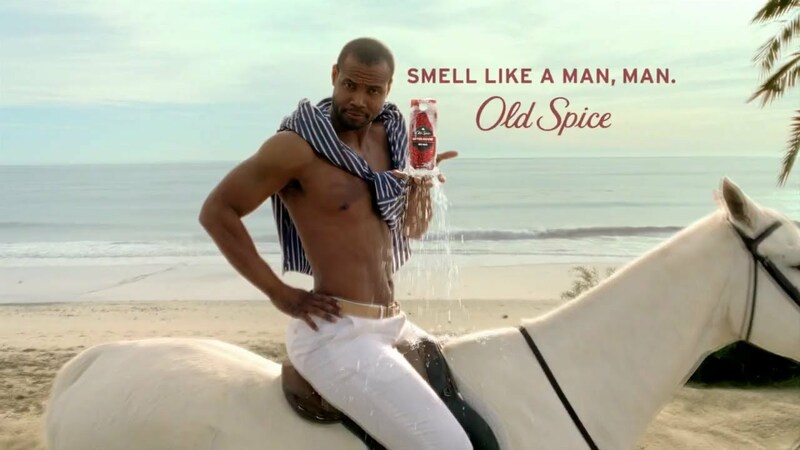 Do you think Old Spice’s widely acclaimed “The Man Your Man Could Smell Like” campaign was created by a committee stuck in a stuffy boardroom? Not a chance. Committees will never take the necessary risks to produce remarkable marketing campaigns. Let’s say you want to go skydiving for your birthday but the only way you can is by convincing seven friends to jump with you. Your idea is going to have a difficult time getting off the ground. You might be saying, “How do I take marketing risks and maintain a consistent brand?” Although your brand and your marketing campaigns are related, they are separate entities. A great marketing campaign should always maintain your brand’s identity, but that doesn’t mean you can’t try new ideas that help your brand evolve. The problem of marketing opinions. “I don’t like that.” Those are the four most destructive words you can say in a marketing meeting. There’s an off-color saying about opinions that I won’t use right now, but they can be poisonous to your marketing strategy. Most great ideas are left in the boardroom because someone somewhere didn’t like something. While it’s completely normal to have an opinion about a new marketing campaign that’s being pitched, “likes” and “dislikes” should be removed from the conversation. Gather a group of people and ask them where they want to go to lunch. The odds of a unanimous decision are incredibly low. Opinions are thrown like punches and eventually everyone compromises and you’re stuck eating at the restaurant nobody wanted in the first place. When evaluating a marketing campaign, try not to think if you “like” or “dislike” an idea (as difficult as that is) because these feelings are often an emotional response. Instead, ask yourself if that idea is going to work. Be mindful of this when the next idea is pitched. Don’t just throw in your two cents because you felt you had to. If you do have a strong opinion, voice it. Just try to be as objective as possible. If you don’t feel strongly one way or the other, trust the people involved in the creative process. The solution to bad marketing. Okay, so let’s shed all of this negative energy and make our marketing better. Here’s how to do it. 1. Figure out your marketing objective – I mentioned it before, but good marketing has clear and measurable goals. It doesn’t matter if you’re redesigning your website, investing in paid advertising or emailing your customers, every marketing campaign should have an objective. Who is the target audience and what actions do you want them to take? 2. Whose feedback is needed? (WFIN) – Most businesses have a group of people (executives, board members, etc.) involved in making decisions. There’s nothing wrong with that, but the process should be simplified for marketing decisions. Avoid “socializing” marketing ideas just to appease the group. Instead, you should be strategic and purposeful with your feedback loop. 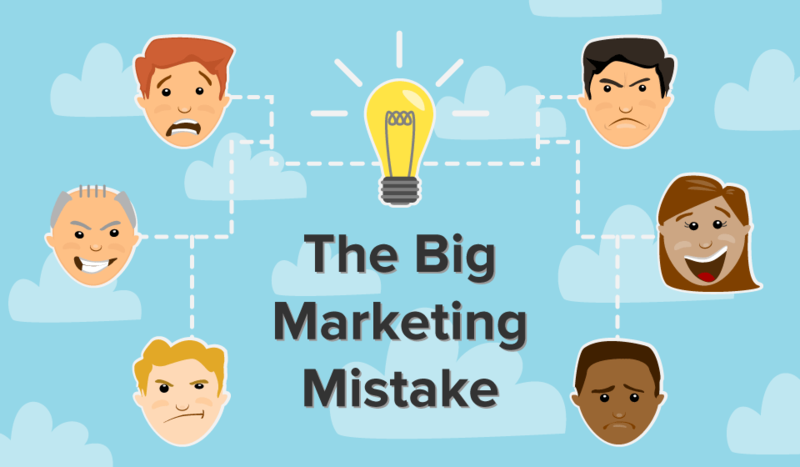 Your decision-making committee may include five people, but a particular marketing campaign may only need the input of two. Don’t ask a group where you should go to lunch if it’s going to be a date. How do you do this without ruffling feathers? You start by considering the scale of the project. If you’re heading up a corporate rebranding effort then it’s essential to get everyone involved. If you’re deciding on the layout for your next email campaign then it shouldn’t involve the whole group. Every marketing project should begin with a goal and a list of names. These are the names of people whose feedback and approval is needed. By focusing on the individuals who will eventually critique a campaign or idea, it will allow you the marketing team to better prepare for common objections and hopefully expedite the approval process. 3. Who holds the gavel? – Good marketing requires conflict. Big ideas are not a monopoly. This often makes marketing an emotional process. There will be severe differences of opinion, but you can’t compromise on every idea or take criticism personally. Sure, vanilla cones are good, but if an ice cream parlor only sold one flavor, it would be out of business faster than a cone could melt. Good marketing teams have one decider. This is the person who wields the gavel. It’s also the person that must accept responsibility for a failed idea. If an agreement cannot be reached, someone must make a decision. In most businesses, this person is the marketing director, CMO or CEO. 4. Trust your team – Why don’t we take more risks? It’s because we worry about the potential outcome. Life is full of risks, but the key to deciding which ones to take is to hedge your bets. Every member of a marketing team has a different role. Trust the ability of your team members to do their job well. Assume that your designer chose the layout for a reason and your copywriter tested ten other headlines before arriving on the one. If you disagree with an idea, talk through the thought process. Chances are, your creative team acted intentionally and considered something you didn't. How to be better at marketing. You can’t fix bad marketing overnight, but you can take a step in the right direction. If you don’t have someone in place already, start by appointing someone to lead your business’s marketing strategy. This can (and should) include an outside agency if your business doesn’t have the time, resources or expertise to handle marketing in-house. Remember, don’t always settle for vanilla. Sometimes you need to sprinkle on the gummy bears.